Though classroom instructional strategies should clearly be based on sound science and research, knowing when to use them and with whom is more of an art. 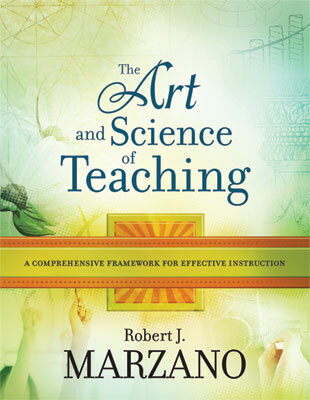 In The Art and Science of Teaching: A Comprehensive Framework for Effective Instruction, author Robert J. Marzano presents a model for ensuring quality teaching that balances the necessity of research-based data with the equally vital need to understand the strengths and weaknesses of individual students. For classroom lessons to be truly effective, educators must examine every component of the teaching process with equal resolve. 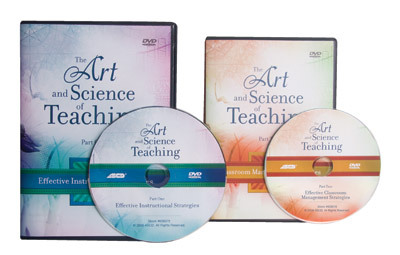 Filled with charts, rubrics, and organizers, this methodical, user-friendly guide will help teachers examine and develop their knowledge and skills, so they can achieve that dynamic fusion of art and science that results in exceptional teaching and outstanding student achievement. This is a Premium and Select member book. ROBERT J. MARZANO is a senior scholar at Mid-continent Research for Education and Learning in Aurora, Colorado; an associate professor at Cardinal Stritch University in Milwaukee, Wisconsin; and president of Marzano & Associates. He has developed programs and practices used in K–12 classrooms that translate current research and theory in cognition into instructional methods.